The Miramar Santa Monica includes an 100% affordable housing building on the Hotel’s Second Street lot directly across from the new hotel entrance. Preliminary discussions have begun with Community Corporation of Santa Monica on the optimal unit mix, affordability, unit size and total number of units. In all cases, the affordable apartment count will be at least 50% of the market rate condominiums, well above the City’s new 30% requirement in the DCP. The centerpiece of The Miramar Santa Monica is the historic Moreton Bay Fig Tree. Rather than being surrounded by a driveway, as it is today, the Moreton Bay Fig Tree has been thoughtfully integrated in a magnificent new open space with a raised wood deck to protect its roots and enhance its health. 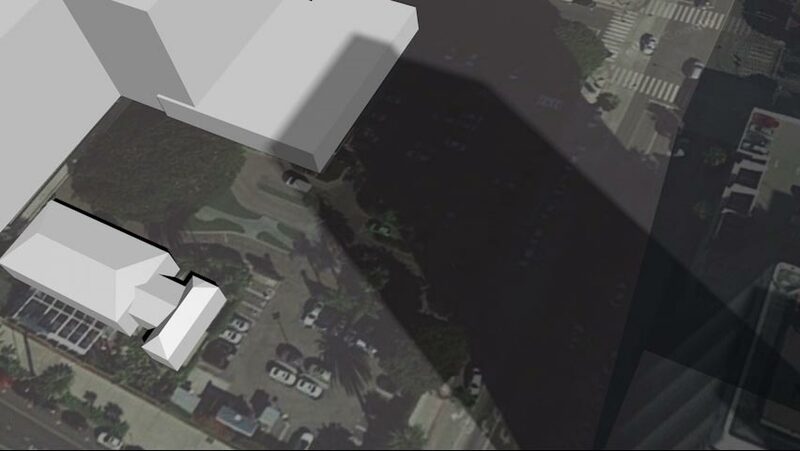 The new design will allow pedestrian access to and public enjoyment of the tree and the adjacent new food and beverage outlets with stunning views of Santa Monica Bay. The Palisades Building will be rehabilitated with design inspiration taken from historic images from the 1940s-1950s. Hotel guests will enjoy and celebrate the rehabilitated Palisades Building from an outdoor terrace directly off the main hotel lobby. Over 50% of the site is dedicated for ground-floor open space, including an approximately 14,000 square foot publicly-accessible garden and several new outdoor dining areas accessible to the public. Following an international design competition, Pelli Clarke Pelli Architects and the father-son team of Cesar and Rafael Pelli was selected to lead the design of the project. Internationally-renowned landscape architect Kathryn Gustafson of Gustafson Guthrie Nichol (now known as GGN) and prominent preservation consultant Robert Chattel of Chattel, Inc. were later added to the team. The result of this extraordinary design collaboration was a project featuring stunning contemporary architecture and magnificent new open spaces that honor and celebrate the rich history of the Miramar. Restore the Miramar as a world-class, full-service luxury resort that can compete effectively with the best coastal resorts in California, with new and improved banquet and meeting facilities for guests and community organizations, thereby ensuring the Miramar remains a treasured community asset for the next 100+ years. 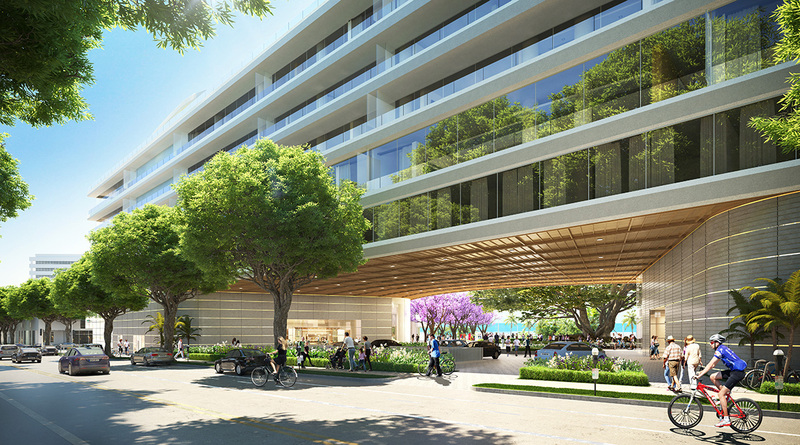 Anchoring the approximately 14,000 sf publicly-accessible open space at the corner of Wilshire Boulevard and Ocean Avenue will be a prominent work of public art that will inspire residents and visitors alike. Significant new pedestrian access to and through the site from Ocean Avenue, Wilshire Boulevard and Second Street. Significant new short-term and long-term bicycle parking for all guest, residents, visitors and employees. 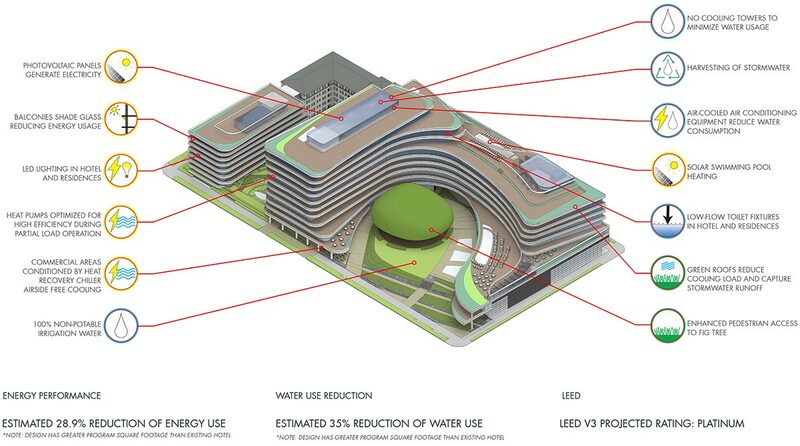 Aggressive sustainability targets on water savings (estimated at over 33% savings from existing hotel), energy savings (estimated at 29% savings from existing hotel) and LEED rating (pursuing Platinum). New parking, to be provided in a subterranean parking garage, will resolve a longstanding issue in the community by moving employees off neighborhood streets and freeing up substantial amounts of parking for our neighbors. In addition, it will eliminate the need for valets to leave the site in order to find a place to park cars. A preliminary study by CBRE (the largest commercial real estate services and investment firm in the world) suggests that at stabilization the new Miramar will provide over $16 million per year in direct City tax revenue ($7.5 million net new) and approximately $408 million in direct City tax revenue over the first 20 years of operations ($187 million net new). 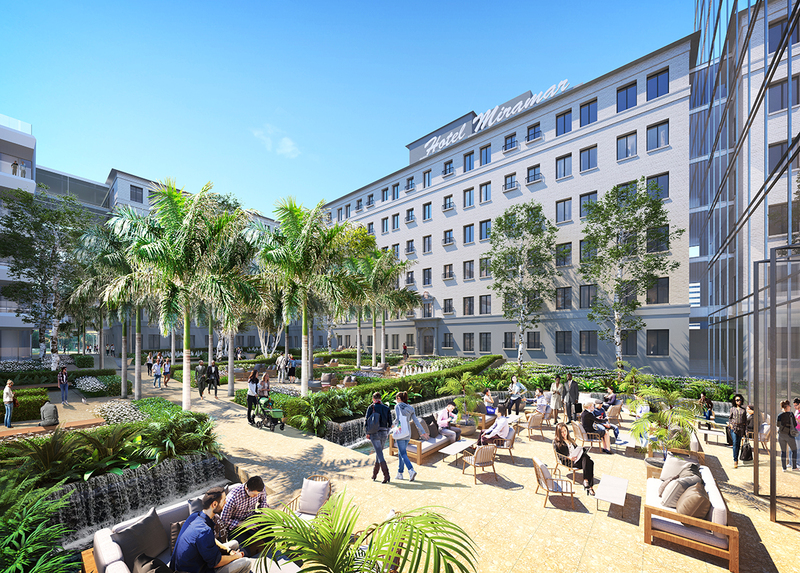 The Miramar will remain a union hotel and create hundreds of new permanent jobs. During construction, hundreds of new temporary jobs will also be created. A local hiring program will be implemented for both temporary construction jobs and permanent jobs at the hotel.